Collingtree Park Golf Club was opened in 1990 by designer and former British & US Open Champion, Johnny Miller. The 18-hole, par 72 course is a European Tour venue and is a unique and testing course that will challenge any handicap. Holding water on no less than 10 holes including the signature 18th green. Collingtree Park Golf Club takes the hassle away by tailoring any Golf Day package to make sure that your group have a pleasurable and outstanding day. The team manage your day, so you can concentrate more on impressing your group with the efficient service and impressive venue you have chosen. Collingtree Park Golf Club welcomes groups of all abilities from a beginner to a scratch golfer. They can offer activities to help entertain any group. For example, how about ‘Beat the Pro’ where your team can see if you can get your ball nearer the pin than our club professional. So, what will you be doing next time you want to amaze your clients, reward your staff or treat your friends? You can have your own exclusive Golf Day, Charity Event or Society Day. 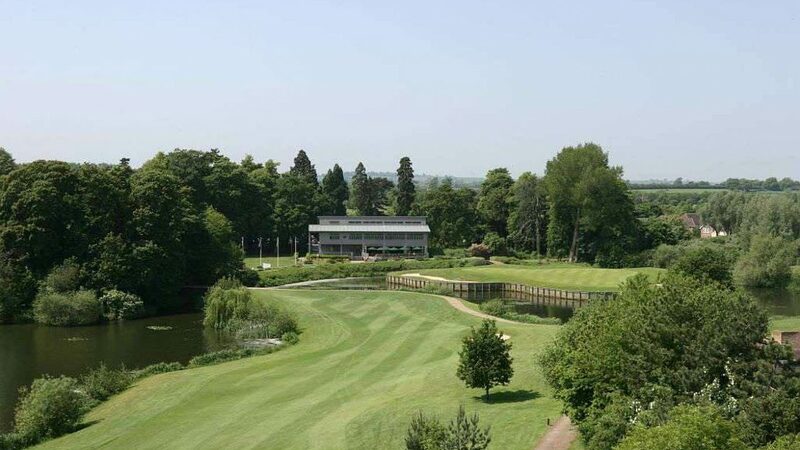 Collingtree Park Golf Club is one of the county’s most esteemed golf courses that encourages members and non-members to enjoy its fantastic facilities. 18, 27 and 36 hole packages available with breakfast, lunch and evening dining available. Winter 1st November 2017 – 28th February 2018. 8+ players from £23.50pp includes coffee and bacon bap and 18 holes of championship golf. We are always happy to discuss tailored requirements to suit individual requirements. Leave the M1 at junction 15 and take the exit towards A45 Northampton/Wellingborough. Drive past the turning for the Hilton Hotel and take the next slip road for East Hunsbury. At the roundabout take the second exit straight on, Rowtree Road. Next roundabout, take the first exit. Follow Windingbrook Lane for half a mile. The club can recommend excellent hotels in the surrounding area. 18-hole course, modern club house, bar, outside veranda, function room, restaurant, pro shop, free WIFI, changing room with lockers, large car park, putting green and drive range.